Thank you Bertolli® for sponsoring this post. For more information and a store locator, please visit https://www.bertolli.com/oils-and-vinegars/olive-oils/ and be sure to check out Bertolli’s social channels: Facebook and Instagram. 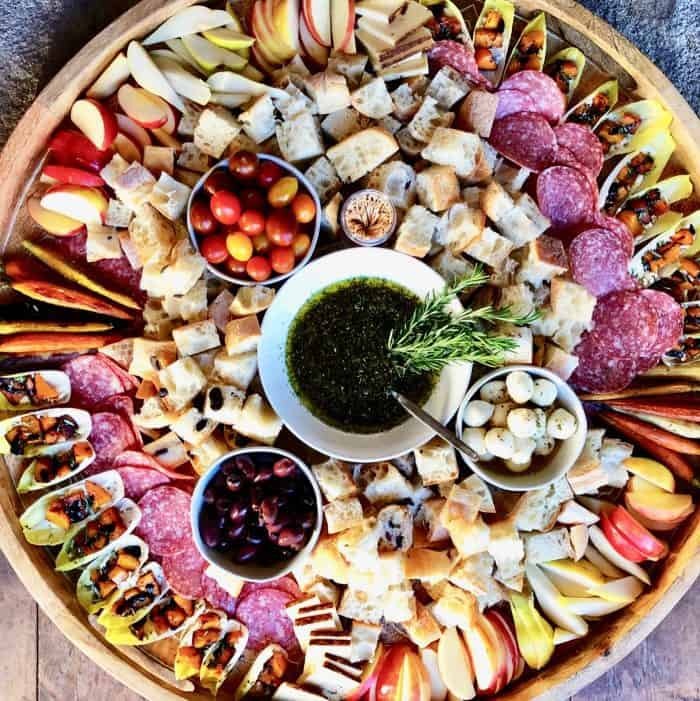 Friends, what I love about this time of year is gathering people around a simple Italian Bread Dipping Oil Charcuterie Board! 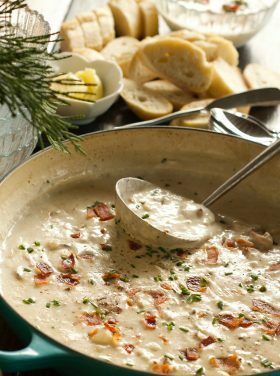 This recipe today can be served as an appetizer for a large party or even a simple weekend meal for a small gathering. 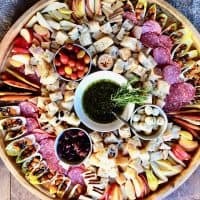 Think “Friendsgiving” and wow your guests with these great bites before the feast! 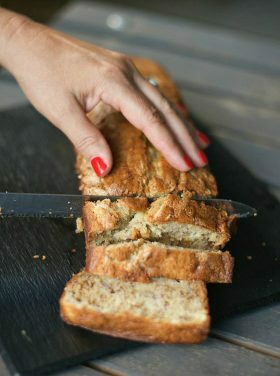 Our recipe today is made with Bertolli® Organic Extra Virgin Olive Oil, a staple that has been in my pantry for years. Bertolli Organic Extra Virgin Olive Oil is derived from the first extraction of the olive and has no additional refining or processing. 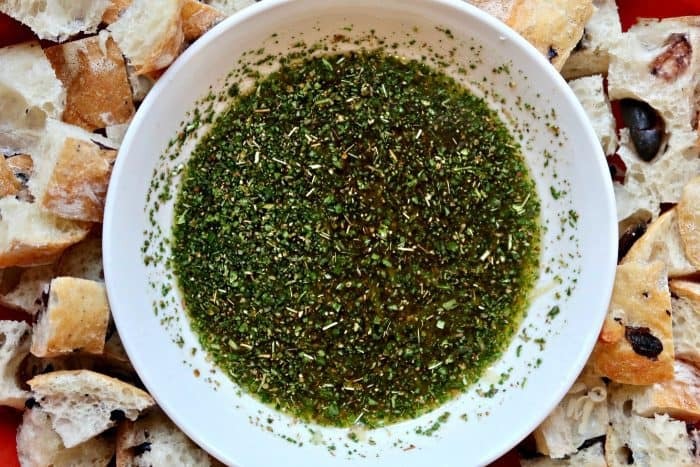 It’s ideal for using straight from the bottle on pasta, salads, delicious marinades, sauces or soups, or as a dipping oil. 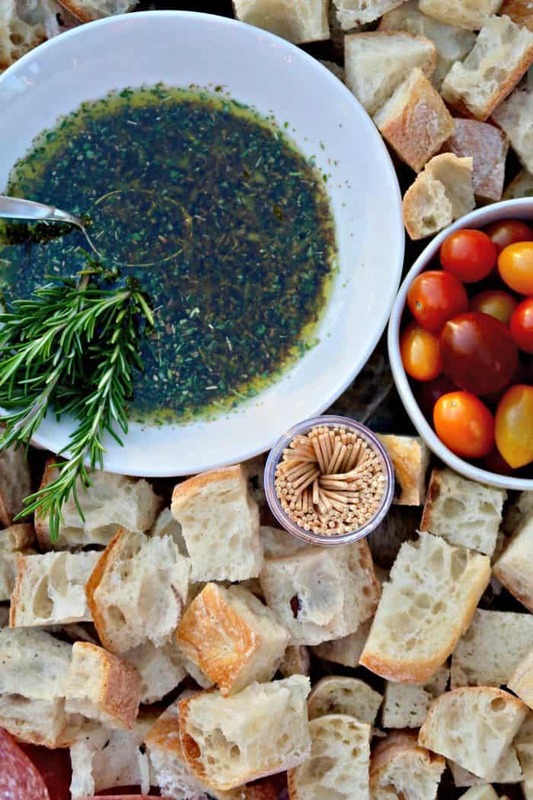 What is the best dipping olive oil for bread? 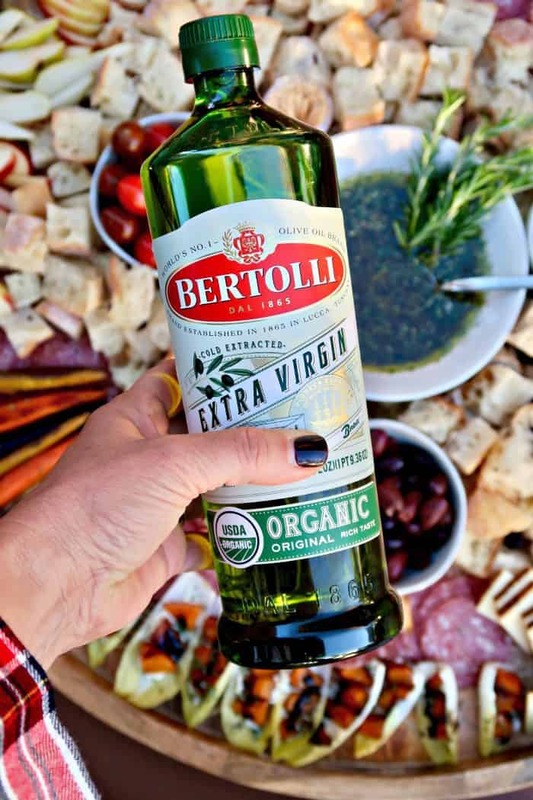 This Bertolli Organic Extra Virgin Olive Oil Italian Bread Dipping Oil is the best recipe, served with artisan (or focaccia bread). 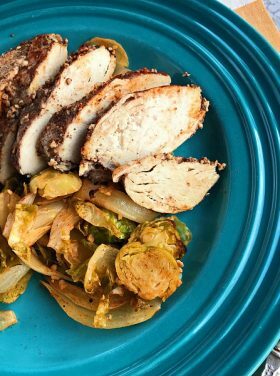 This recipe has the freshest ingredients of best-quality olive oil, Italian spices, fresh garlic, and Parmesan cheese. How do you eat Italian bread with olive oil? Make the olive oil dip the center star of your Friendsgiving feast! Either serve it separately with fresh chunks of artisan or Focaccia bread or serve it on an epic charcuterie board! You can serve it with toothpicks, or people can dip their piece of bread right into the dipping oil. 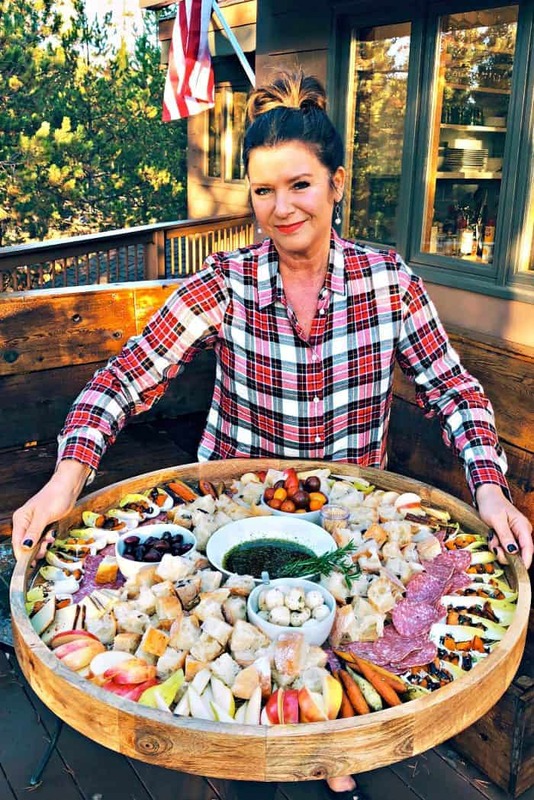 What I love about this Bertolli® Extra Virgin Olive Oil Classic Italian Bread Dipping Oil Charcuterie Board is that I can have it ready when the guests walk through the door. I timed myself this past week and it took less than an hour to prepare the entire board. 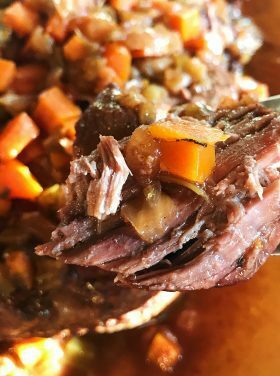 Preparation with a simple plan allows more time around the table with our guests, with a delicious meal for everyone to enjoy! My readers love my charcuterie ideas because when you print the recipe, you have a quick, easy shopping list. Starting with the key ingredient, Bertolli Organic Extra Virgin Olive Oil, you can make the finest bread dipping sauce, with (most likely) ingredients that you already have on hand. Start with a large round board or tray. Make the bread dipping oil, using the finest Bertolli Organic Extra Virgin Olive Oil. Place in the center of the tray. 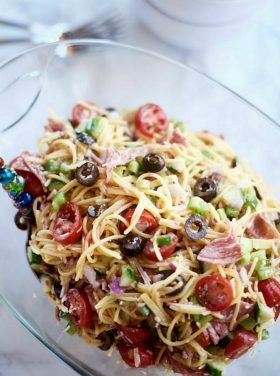 Arrange around it in small bowls, mozzarella balls, cherry tomatoes, and olives. Cut fresh artisan bread into 2-inch chunks. 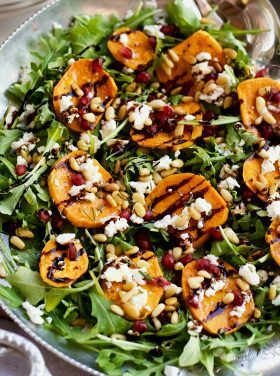 For all things fall and Friendsgiving, we stuffed endive leaves with a soft cheese, and roasted butternut squash (cooked with drizzled Bertolli Organic Extra Virgin Olive Oil and salt), drizzled with a balsamic glaze. 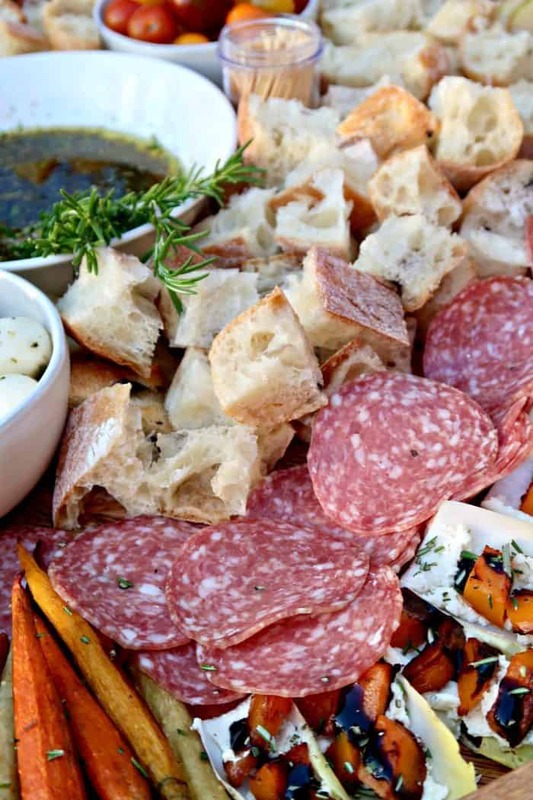 Add in your favorite cured meats (salami), roasted carrots, and pears and apples. This has Friendsgiving written all over it. This recipe can also be served with a full meal or presented as the “center star” of an epic charcuterie board. 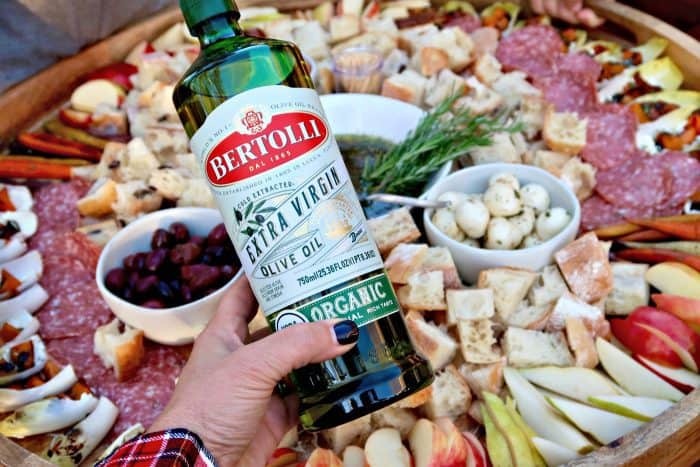 Bertolli Organic Extra Virgin Olive Oil makes cooking so easy, I can focus on the essentials, making my guests feel warm and welcome, in a cozy environment, with scrumptious food! For more information and a store locator, please visit Bertolli.com, and be sure to check out Bertolli’s social channels: Facebook and Instagram. 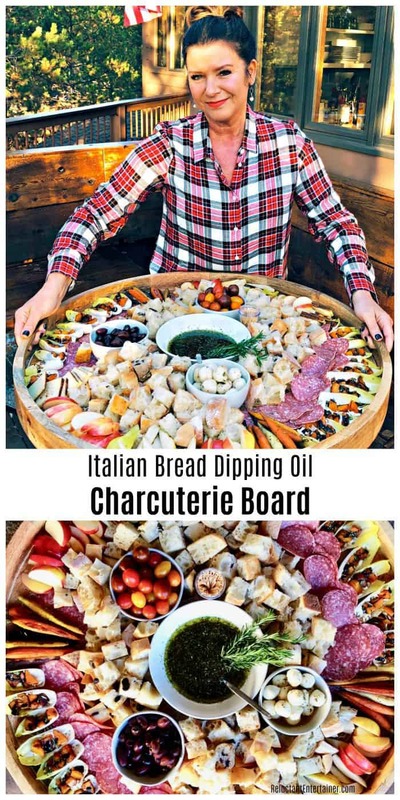 Italian Bread Dipping Oil Charcuterie Board with bread cubes and charcuterie treats. Fresh ground black pepper and sea salt to taste. FOR THE DIPPING OIL: In a medium-sized bowl, whisk together olive oil, garlic, oregano, basil, rosemary, lemon juice, and balsamic vinegar. Salt and pepper to taste. Pour the oil in a shallow dish and sprinkle Parmesan cheese over top. Serve right away with artisan bread. 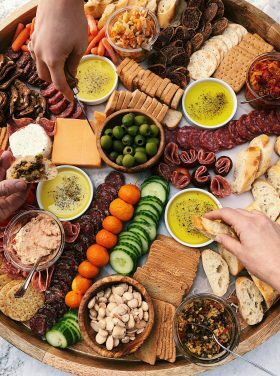 For the CHARCUTERIE BOARD, prepare a large platter, placing the bowl of dipping oil in the center. Arrange the bread chunks around the oil, filling in the spaces with 3 small bowls (tomatoes, mozzarella balls, olives). Prepare the stuffed butternut endive and roasted carrots in the oven (20 minutes). Arrange the endive and roasted carrots, along with salami, cheese, and sliced apples and pears. 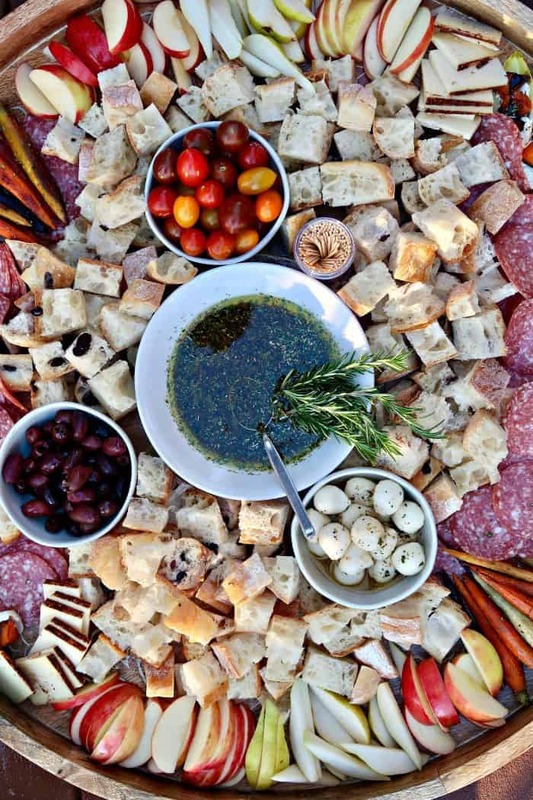 To prepare a charcuterie board, if not food safe, lay down parchment paper before placing the food on the board. Or, you can season the board by lightly sanding, cleaning, and rubbing with beeswax and mineral oil. HAVE FUN! 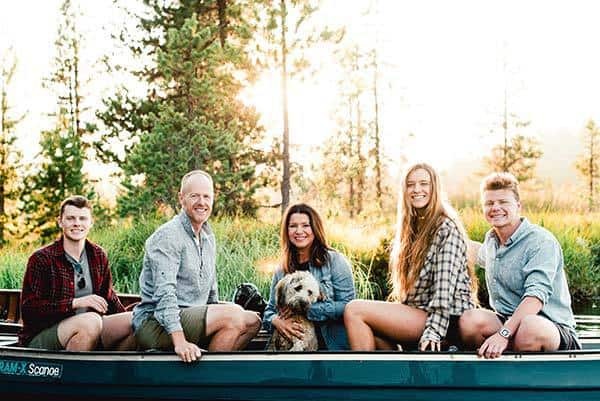 Where can I buy a wooden board like yours?